This stylized Madonna is a picture of peace that exists in the storms of life. This stylized Madonna is a picture of peace that exists in the storms of life. 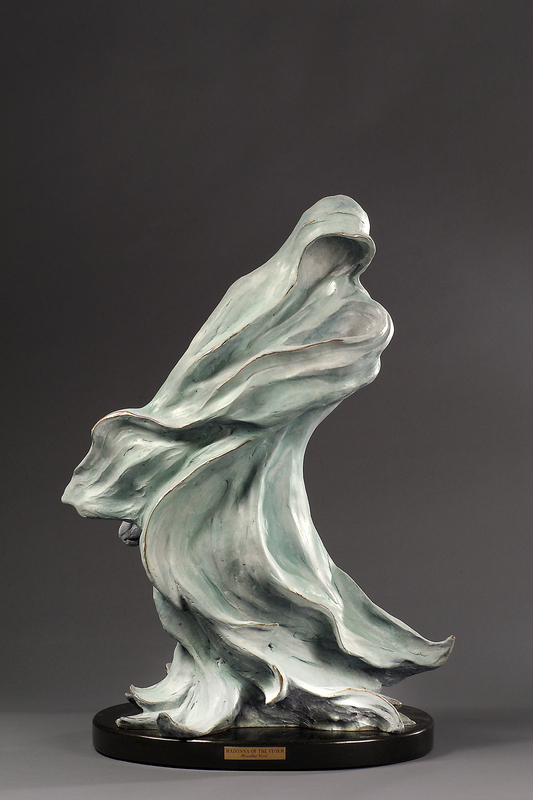 The base is a bit tumultuous as waves can be, and then the piece evolves into a picture of peace and security.